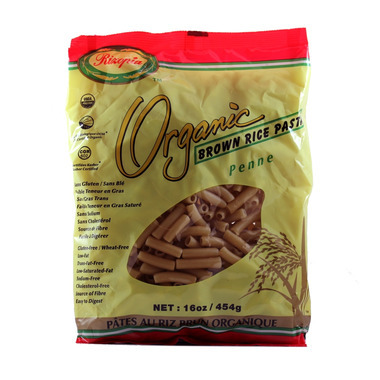 Penne - This is medium-size hollow tubular pasta with ridges that goes well with any sauce, used in salads, vegetables and casseroles or made into stir-fry dishes. Let your next Penne dish satisfy your ever-changing tastes. This is our favorite brand of pasta. It doesn't get soggy and sticky like the other rice brands I've tried.